Metal Dog is a full mistress in the period from 3 February 2030 to 22 January 2031. 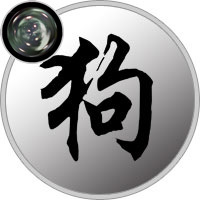 Chinese Horoscope clearly defines the nature of the mark - a warrior, a fighter for justice. The dominant element - Metal, symbolizes the firmness, determination and independence. The color of the year - the white is associated with wisdom, purity. People of this sign do not succumb to difficulties, always defend their interests, seek to protect the inner circle. Overbearing and confident dog does not recognize the trade-offs, it is clearly to defend their point of view. Quarrelsome character slightly scares people around them. Often come into conflict situations, stubbornly proves his innocence. At the same time does not tolerate lies, always stands on the side of a weak man. If we can find common ground, then nothing can ruin a strong friendship, dog is very loyal in relationships. Strong willed people live an interesting life, rich in events. Prefer not sprayed and followed a well planned way. Excessive categorical, irritability and stubbornness may do a disservice. Metal Dog is unquestioned authority for the surrounding people. Always demonstrating his strength and superiority. Pride prevents even show the slightest weakness. Few can see the fragile and vulnerable soul of Representatives this year. Metal Dog focuses on the business, it is hard hits the target. Nothing can stop if it is decided. Very punctual, never late. He was not interested in the opinions of others, will not adapt to the generally accepted standards. Subject only to the stronger partner, worthy of her respect. It is easy to reach the heights of a career in any field: law, medicine, construction, teaching or research activities. I prefer to be honest, despite the financial component. Loving dog can put too pressure on the partner. It recognizes only its superiority. Unable to adjust to the interests of the second half. Straightforward, stubborn dog may seem too difficult and quarrelsome person. It could significantly improve their lives, if sometimes shows weakness and more trusted partner. This will do everything for his family. Do not stop before any barriers, if only her relatives were happy and satisfied. Representatives Metal Dogs are worthy of love and respect. For all his self-confidence, inaccessibility are true, faithful companions. Never pass by a person in need of their help. Do not tolerate lies and betrayal, would prefer to give the latter if necessary. It does not tend to accumulate, seeking to benefit the family and society. The most caring and loving parents, though often too hard on children. People of this year must be slightly corrected their behavior and become softer.